Incorporations in the British Virgin Islands continue their decline, according to the most recent data from the BVI Financial Services Commission. 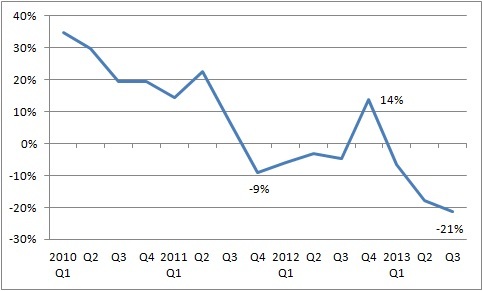 While company registrations are recovering and already above 2008 levels in other offshore jurisdictions, the 21% fall year-on-year in the third quarter of 2013 means the BVI maintains a downward trend. It seems the fallout from Offshore Leaks continues. Despite the declining numbers, however, BVI still registered over 40.000 companies in the first three quarters of 2013 and “continues to dominate offshore new company registration activity by volume” as noted by a recent offshore service provider report.